What better way to have children enter another world than through food This cookbook offers delicious and basic recipes, clearly outlined in easy-to-follow steps. 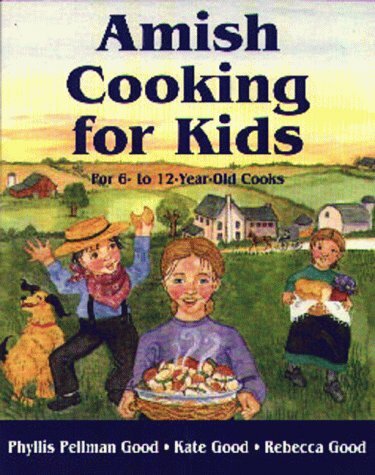 Each recipe is tied to a particular even or occasion in Amish life - Wedding Food, The School Picnic, Sunday Lunch, In the Fields, Lunch Pail Meals, Family Reunions and more. Includes basic information about cooking and these particular people, through stories and delicate watercolors. Written by Phyllis Pellham Good and her two daughters.